I recently came across this picture on instagram, and I found it alarming and funny and ironic all at the same time. Now really. 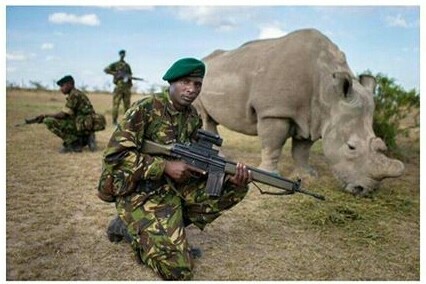 It’s sad that we will one day reach a stage when there are so many humans that we can afford to have guards for all the endangered species of earth. Would you do that? Stand guard in front of the last remaining tiger? I mean, don’t you have a life? Doesn’t that tiger have a life? Then let it live. And not just the last tiger. Make sure there is no last tiger. I understand that you, sitting in your room or a coffee shop reading this blog, will not really feel what you do makes a difference in this case. But that’s where you are wrong. You DO make a difference. In this swath of senseless human ocean who are all in for personal gain, YOU are a ray of hope to me. Someday, you will have a chance to do something that remotely contributes to the life of 1 animal. Just 1. On that day, please don’t forget this. I’m counting on you.